The Summit Resort’s Gunstock Ski and Stay package is the best value in the Lakes Region. Stay a minimum of two nights and receive 20% off accommodations for each night of your stay, experience an amazing ski getaway, carving up the slopes of Gunstock by day and relaxing in your spacious 2 bedroom condo style suite by night. With a full kitchen and sleeping capacity for 6, the Summit’s ski and stay deal is perfect for a family outing or a large group of friends. 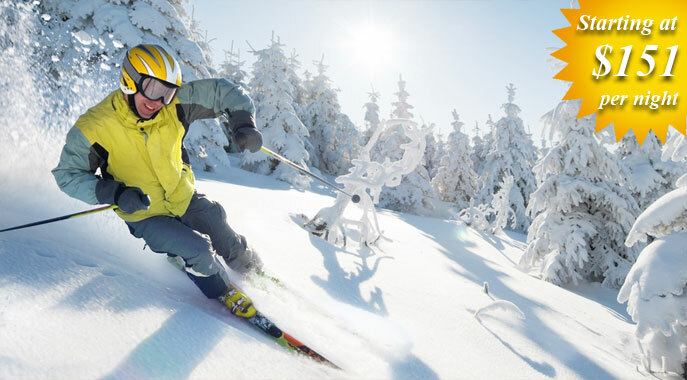 Package includes 25% off ski tickets to Gunstock Mountain for each night of your stay and full use of all resort amenities. The Summit is the ideal choice for Gunstock Lodging. Rates starting at $151.00 Per-Night!